Gold explorers can deliver outsized returns when they are successful in making a major new discovery. The sheer magnitude of the universe (some 200 ASX-listed companies are exploring for gold) means many of the companies are not covered by independent external research. As a result there is an opportunity to extract above market returns through exploiting information asymmetries. Acorn Capital believes that through its geological expertise and proprietary research, it has an advantage in identifying attractive gold exploration opportunities. Since our establishment in 1998, Acorn Capital has developed a comprehensive database of resource companies that provides a semi-quantitative overprint to assist in identifying the best opportunities in the explorer universe. Today, we are not only using this database to identify investment opportunities in explorers, but we think recent events in the sector have created an unusually good opportunity to invest in gold explorers now compared to any other time in the last 5 years. Two avenues of growth for gold producers are mergers and acquisitions (M&A) or exploration success. Between 2013 and early 2016, the fall in the USD gold price from about US$1650/oz to below US$1100/oz triggered a major episode of M&A activity when debt-laden producers, such as Barrick Gold, elected to divest some of their operations to manage their balance sheets. In Australia, companies including Northern Star, Evolution and Gold Fields were able to acquire quality gold operations at reasonable valuations (e.g. the Kanowna Belle, Lake Cowal and Wallaby gold mines). However, the gold price has since recovered and the balance sheets of many gold producers have been repaired, creating an environment in which many producers see acquisition activity of successful exploration companies as the best way to grow. Exploration is generally divided into two categories: brownfields and greenfields. Brownfields exploration involves searching for new mineral deposits within economic transport distance of an existing mine. Over the last 18 months many Australian gold producers have increased their budgets for brownfields exploration. However, the result of increased brownfields exploration appears to have resulted in an increased life of existing operations, rather than materially increasing the total number of ounces being produced each year. To significantly grow their annual production profiles, gold producers must make major new discoveries that lead to construction of new mines (i.e. they must undertake greenfields exploration). This presents both a problem and an opportunity for investors. Since 2013, gold producers have generally either substantially reduced or no longer undertake greenfields exploration. Therefore, rather than undertake the grassroots exploration that leads to new discoveries, producers are now looking to gold explorers do this work and then hoping that they can acquire the projects or companies once a discovery has been made. Recent examples of this strategy include Gold Fields paying A$250m in December 2016 for a 50% stake in Gold Road’s Gruyere Gold Project in Western Australia, and Newcrest Mining paying US$22.86m in October 2016 for a 10% stake in SolGold following its discovery of the Cascabel project in Ecuador. However, with so many producers now debt-free and eager to grow through acquisition of greenfields projects there is bound to be high levels of competition for future discoveries. At Acorn Capital, we are using geological expertise and a proprietary database of gold explorers to identify companies best placed to make a major new discovery that would be attractive to the larger gold producers. These companies make ideal investments for the Acorn Capital Investment Fund (ASX:ACQ), that creates value for shareholders by investing in emerging Australian companies. Below are three recent gold explorer investments. One company that stood out was Encounter Resources (ASX:ENR). 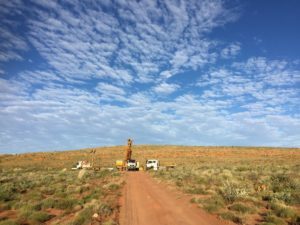 Led by Will Robinson and Peter Bewick, Encounter has one of the best exploration teams in the country and had recently acquired a new gold project near the world-class Telfer Gold Mine in northern WA. Subsequent meetings with management showed the new gold project had several high-quality targets that would be tested in the next 6-12 months, thereby providing a steady supply of news flow. To aid this work program, Acorn Capital participated in a placement that gave Encounter sufficient cash to complete a thorough exploration program. Avalon Resources (ASX:AVI) is another explorer that our process identified as offering an attractive opportunity. With one of the best porphyry explorers in the business, Malcolm Norris, the Acorn database distinguished Avalon as a quality explorer compared to the others in the sector. Avalon recently acquired tenements in Ecuador where TSX-listed SolGold made their world-class copper-gold discovery (in which Malcolm was involved). Therefore, Avalon represented very good value in a market that was yet to realise the potential importance of the newly acquired tenements. To aid their exploration program, Acorn Capital participated in a recent placement by the company. Our third recent investment was in Golden Rim (ASX:GMR). 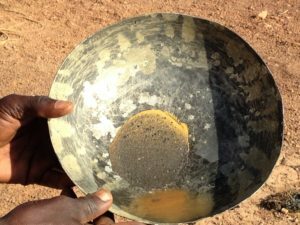 After a brief foray into base metals in South America, Golden Rim returned to gold in West Africa where it has had success in the past. Compared with West African explorers such as Cardinal, West African and Oklo being rewarded by the market, Golden Rim is undervalued despite having quality projects and management. The ground held by Golden Rim contains an unusually large gold-in-soil anomaly that has had limited and only shallow drilling so the potential is unknown. By participating in a recent placement, Acorn has helped Golden Rim to raise the funds required to adequately explore their exciting tenements in a world-class gold terrane.